Geophones come with different types of connectors. from K.D. Jones Instruments. Depending on the target depth and resolution, equipment to conduct a multichannel analysis of surface waves survey comes in different configurations. 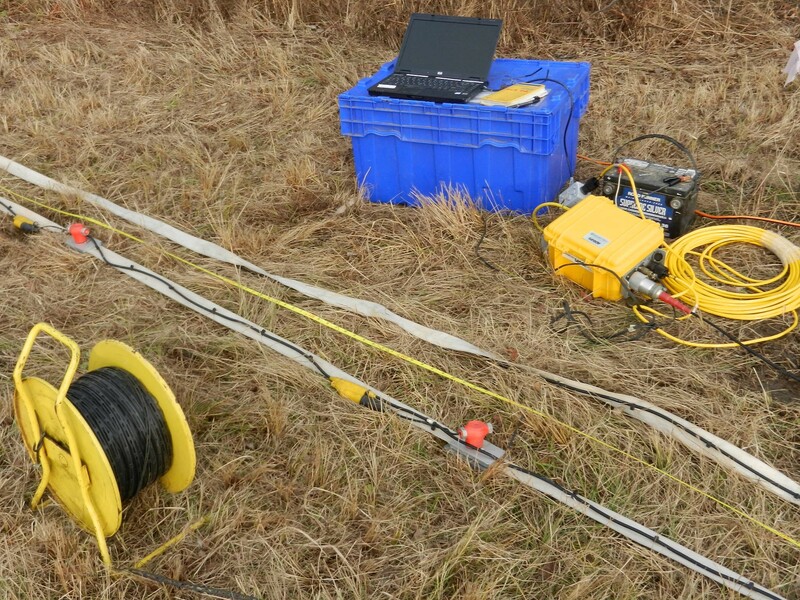 It is common for a multichannel analysis of surfaces waves geophysical survey to be acquired with a 24 channel seismograph, a Geometrics Geode works well. Geometrics advertises that it is an ultra-portable seismic recorder that attaches to your laptop or to the StrataVisor NZ. Connect several Geodes together to build systems up to 1000 channels, which is far more than most MASW surveys require. The data is easily imported into their SeisImager/SW software. A Geode is often accompanied with either two 12 takeout cables or one 24 takeout cable. 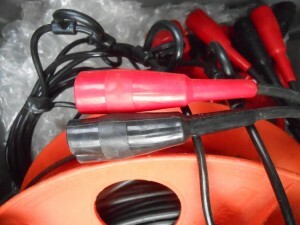 A takeout is the point where a geophone is connected to the cable. Geophones and takeouts come with a couple of different types of connectors that need to be alike. 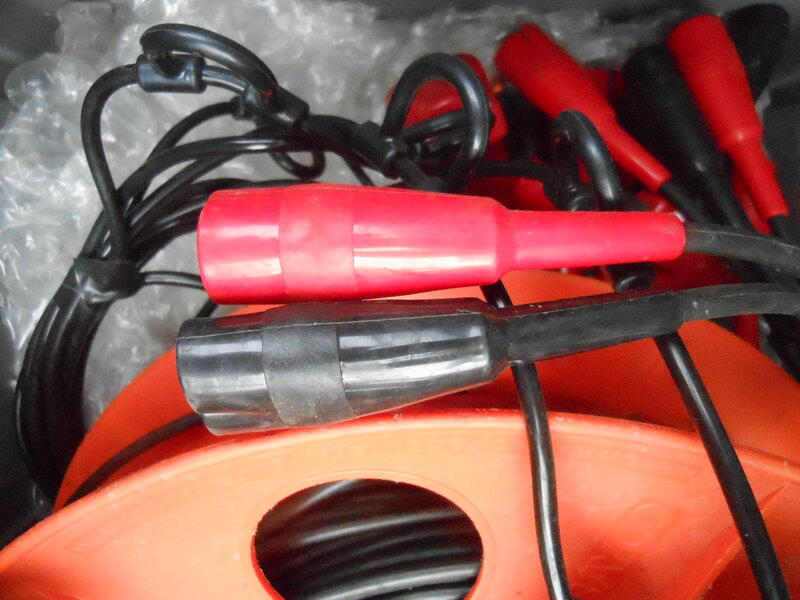 The two most common connectors are water tight Kooter connectors and Mueller clips. 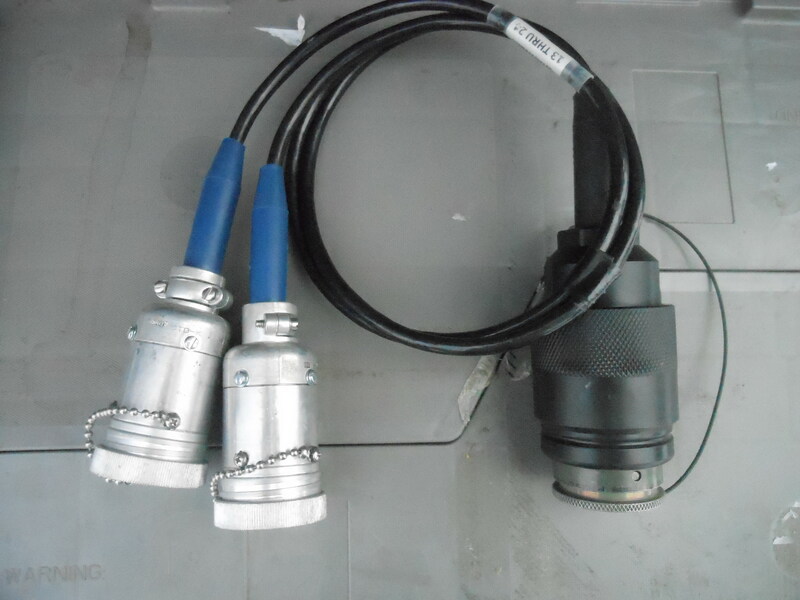 Kooter connectors minimize signal loss in moist environments. are designed to respond to a certain frequency (e.g, 4.5, 8, 14, and 40 Hz). While 4.5 Hz geophones are used for most depths, higher frequency geophones may be more appropriate for shallow MASW surveys. A multichannel analysis of surface waves seismic survey that needs to cover a long linear path quickly may utilize a landstreamer. One common configuration of a landstreamer is 24 takeouts spaced 5 feet apart connected with kooter connectors. A Geostuff landstreamer is a thick strap reinforced with KevlarÂ® that is used to tow an array of geophones. The geophones are fastened to heavy metal blocks that are fixed to the strap. The linear geophone array is rolled along by towing it. The weight of the blocks are intended to provide the necessary coupling to the ground for the geophone to respond. At low frequencies, like 4.5 Hz, this works especially well, if the terrain is not too rough. A 12 to 20 pound sledge hammer and strike plate generates the surface waves for a shallow multichannel analysis of surface waves seismic survey. Deeper surveys are conducted with larger weight drops. For help, fill out MultiChannelAnalysisofSurfaceWaves.Com’s form. Click on highlighted text in page for specific help. Multi-channel Analysis of Surface Waves MASW Rental © 2019. All Rights Reserved.